As with pretty much every aspect of the game, there’s no one right way to design a golf course; in fact the variety experienced by playing a number of courses is a huge part of what makes the sport so enjoyable for every golfer. 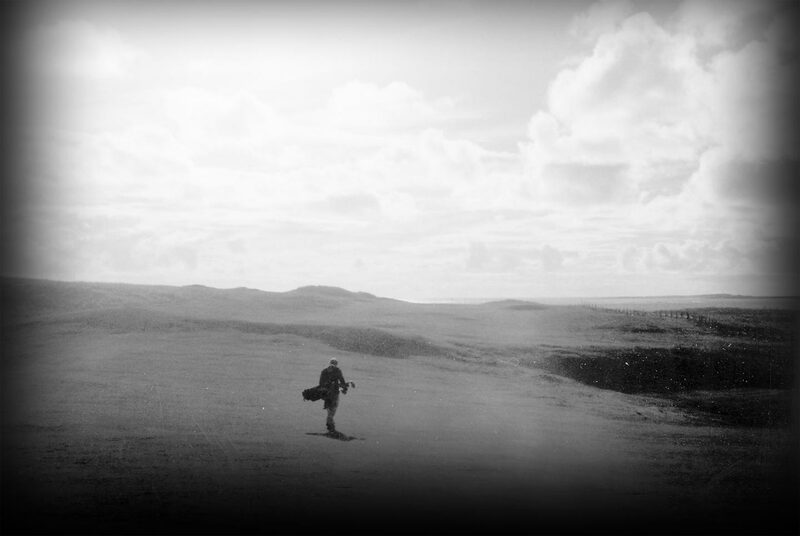 But over the course of my +/- 20-year infatuation with golf—more so in the last eight of those years than in the previous 12—I’ve developed a fairly well-defined lens through which I view every course I play, and by which I judge the success of the design. In his seminal work Grounds for Golf, Geoff Shackelford discusses six schools of design: the Natural, the Penal, the Strategic, the Heroic, the Freeway, and the Framing. The goal of this website is to assert and celebrate the existence of a seventh design school: the Epic. While I have no formal training in earthmoving, drainage, agronomy, or environmental concerns, neither did many of history’s most successful golf course architects…they simply found people who did have expertise in those areas to help them accomplish their vision. Architecture and golf architecture similar in that they are both experiential. I couldn’t agree more with Tom Doak’s quote at the left. And I hope Tom will not mind when I inevitably criticize his own work in future articles on this site! I don’t by any means profess that Epic characteristics comprise the only lens through which to evaluate course design. But it is my firm opinion that the game would be even more addictive for the vast majority of golfers if more architects considered these criteria in their designs. Hi Fernanda, thanks for your comment. The Epic ‘School’ just refers to a philosophy about course design, rather than a physical location to learn about it. I’m not all that familiar with the professional side of architecture but I believe that one of Tom Doak’s legacies at Cornell is an emphasis on course design. There’s the bones of a great site here, David. I hope content dramatically expands in the near future. What NW courses have you played that you feel qualify or approach ‘Epic’? I thought I’d landed in heaven my first trip around Pacific Dunes. What are your thoughts on that golf course? Love the potential for this site as 1) a destination golf resource, and 2) an educational tool for those of us that would like to learn more about golf architecture and architects. Hope you continue to build it out. I am currently graduating from The College of Idaho with a degree in Math/Physics. I have an absolute passion for golfing and an even better eye sight for golf course design. My dream has been to design golf courses however, I became intimidated by the poor economy. I am an avid golfer, and play for love of the game. Your ideas are enlightening and I am very interested. I would love to get more information. I love the concept behind Epic School of Golf Course Design. The list above seems to embody my belief in golf, the tradition, succumbing to the way the earth naturally wanted things formed, the patient and gradual. Let us not forget where bunkers came from….patches where goats nibbled a little too much at the ground, not by bull dozers looking to penalize the trying golfer in a residential lot. I am a former high school caddie (circa 1960s) who saw golf change with the arrival of electric riding carts, perimeter-weighted irons and the passing of persimmon-headed MacGregor MT drivers. I now work as a college management professor, and in International Management class we do a segment on the globalization of golf equipment manufacturing. In graduate Strategy class, we often do a case on an equity country club – the need to select and enforce a business model so that the rolling green fairways and clubhouse can survive financially. One aspect of course design is sustainability. And, I use quality of the tee boxes as my litmus test for sustainability. Tee boxes is the one area where designers – and superintendents – often try to cut corners. * Are the forward women’s tees really tee boxes, or just closely mown grass patches on a hillside in the rough? * Do the tees have enough square footage they don’t get beaten to death by July 4? * Are the tees built and reinforced so that they drain properly, and don’t start washing down the side of the hill by the fifth Anniversary of the course opening? I’ve never seen a course with quality tee boxes that didn’t also have good greens and fairways. I really enjoyed your first posts – are you still playing? Why aren’t you still blogging and never reviewed any courses? I will be mentioning your article on the 4 different hole layouts of Florida golf courses in my review of the Streamsong facilities in an upcoming article – would enjoy seeing more from you in the future… I enjoy your outlook. I appreciate the comment. I’ve just gotten bogged down in my full-time job and a couple of other side projects recently. Hoping to return to blogging later this year.